Makkah Gov. 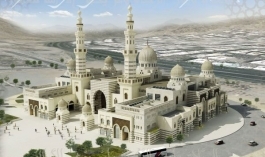 Prince Khaled Al-Faisal yesterday opened Al-Rajhi Jami Mosque in the Naseem district of Makkah. Makkah Gov. 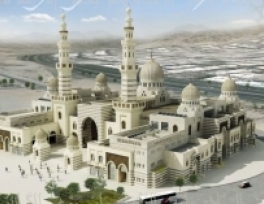 Prince Khaled Al-Faisal yesterday opened Al-Rajhi Jami Mosque in the Naseem district of Makkah. It can accommodate 48,000 worshippers. Sheikh Abdul Rahman Al-Sudais, head of the Presidency of the Two Holy Mosques, and Suleiman Al-Rajhi, who built the mosque, attended the inaugural ceremony. The governor toured the six-story mosque and inspected its facilities including a library and a meeting hall. Addressing the ceremony, Al-Rajhi said he was inspired by the great work being done by the Saudi leadership for the development and care of the two holy mosques.